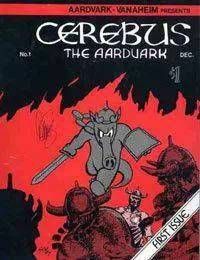 Cerebus rides into a town in the early dawn. Following a skirmish in a tavern hes recruited by a couple of thieves. In exchange for a pouch of gold, Cerebus helps two thieves try to steal the Flame Jewel, whose owner is a powerful wizard.